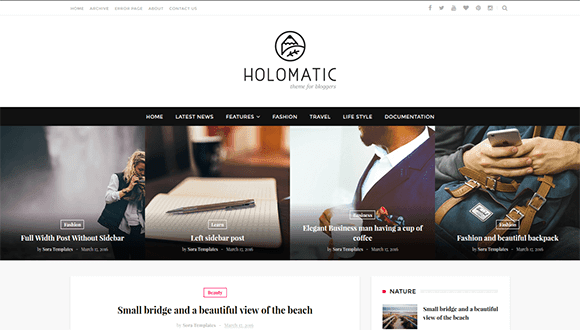 Holomatic is a fully responsive gorgeous blogging theme craftly designed to provide creatives with unbridled freedom of self-expression. The brand new and modern design of Holomatic theme is usable enough to become your most impressive debut website for publishing your various informative and engaging posts. Holomatic Blogger Template is totally responsive so that it can adapts to your style as well as the device it’s viewed on.